This blogging ministry is brought to you by the Women of the Word, a ministry of Christ the Word Church in Toledo Ohio. This blog seeks to encourage women to press on in the daily trials and struggles they may face, to bolster faith in Christ Jesus through the clamoring times in which we live, and to challenge women to stand firm in holy living...all based on the truths found in the Bible. Along the way, we also hope to introduce Christ to those who do not yet know Him. The women who write here are ordinary women who are seeking to follow an extraordinary God. May you find strength and encouragement here as you press on too. We pray that for these reasons you find re:flect-I worth reading and worth sharing! In order to cast the nets farther though, we need your help! First, we would invite you to subscribe to the email list which will deliver each new post directly to your inbox. You only need to enter your email address. Once you click "Subscribe", a confirmation email will be sent to your inbox asking you to activate the subscription by clicking on "Confirm Follow". The subscribe option can be found in the sidebar or bottom of re:flect-I. If you are already a subscriber, would you help share the blog on social media or through email among your friends? Of course if you enjoy a particular post, we hope you will naturally share as you are led. Yet as we seek to expand our readership, would you share this post on Facebook and/or Tag 5 friends (on FB or email) suggesting they read and subscribe? 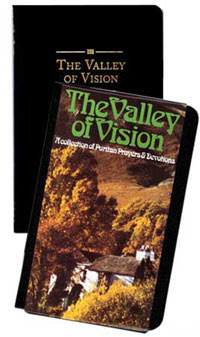 In order to say thanks, we are giving away one new copy of Valley of Vision: A Collection of Puritan Prayers and Devotions. Wendy has referenced prayers and meditations from this book in past posts and we are excited to bless someone with their own copy. We will be tracking all entries through the blog comments. So if you have newly subscribed or shared, please leave a comment on this post. Your comment on the blog will serve as your entry. Please let us know if you have subscribed, shared or both. If you have done both we will enter your name twice. Thank you so very much! All entries are due by Friday, June 5. The book recipient will be named Tuesday, June 9. Upon making contact, we will mail the book to the requested address.